Entire India is reeling under heat wave as temperature is crossing 40 degrees centigrade all over the place. Drinks like Lassi is very important to maintain health and increase energy level. 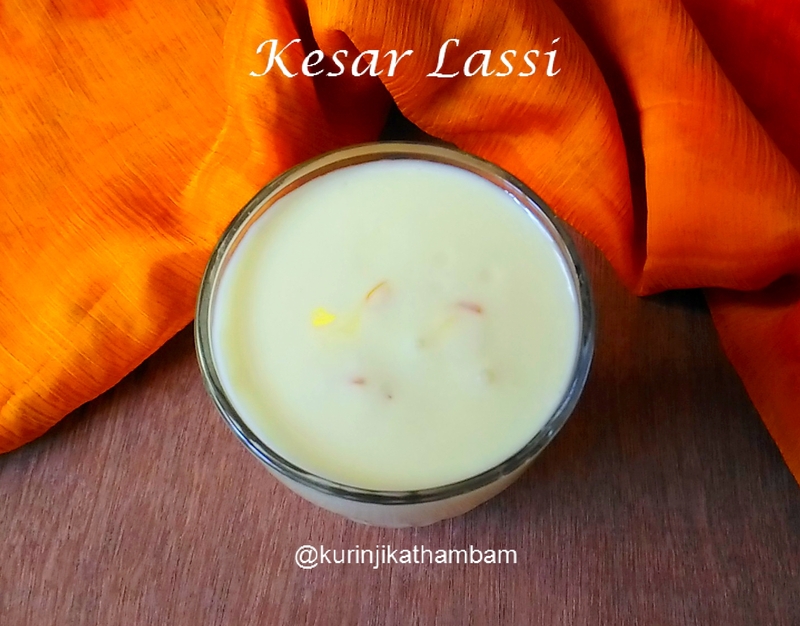 Kesar / Saffron Lassi is a lassi variant with great aroma and slightly different taste. 1. Add saffron with lukewarm milk. Leave it for 7-10 mins. Then stir them well. 2. 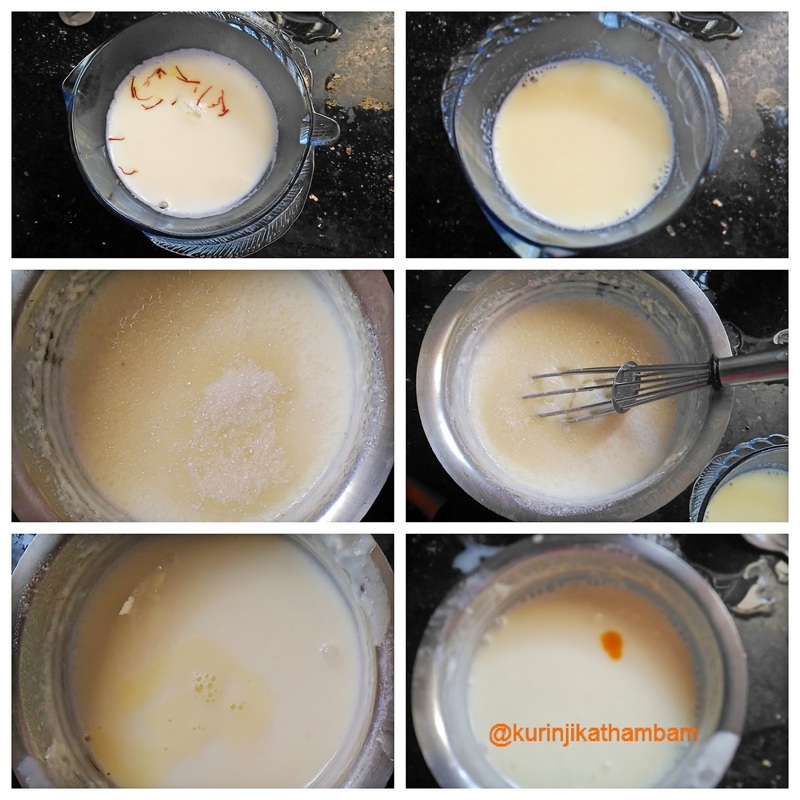 Now add sugar with curd and mix them well with wire whisk till the sugar dissolves completely. 3. Add the saffron mixture (from 1) with curd mixture (from 2). Mix them well. 4. Add food color and mix well. Then kesar lassi is ready to serve. Aromatic and colorful lassi is reday to serve. 1. 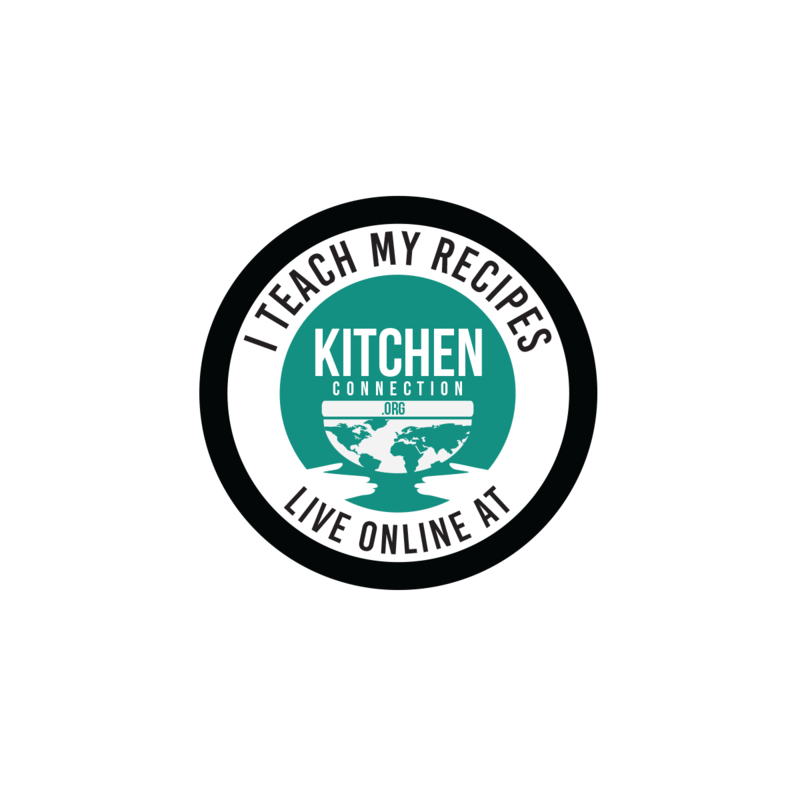 You can use chilled curd or refrigerate the lassi for half an hour and then serve. Otherwise serve it at room temperature.